The seventh season of Doctor Who (the original run, not the 2005 series) was in color. That's about the only extra expense they put into the show. The special effects are pretty much on par with the first six seasons. That is to say, it's 1960s British television. Only, it's not. It's 1970s British television, since Season Seven premiered in 1970. There were only four serials in the season, totaling 25 episodes, the fewest number of any season so far. This would be normal, though, for the next decade and a half. The first serial, Spearhead from Space (4 episodes), was produced in a different manner than the other episodes. It was filmed, rather than videotaped. With the move to color, the video camera operators went on strike demanding more money to operate the color cameras. So, the BBC filmed the episode, since film camera operators were in a different union. The next episode was videotaped after the labor issues were settled. Spearhead from Space saw the return of Brigadier Lethbridge-Stewart (Nicholas Courtney) and the introduction of Liz Shaw (Caroline John), both of whom are full cast members. Not a particularly good or bad serial, it did feature Jon Pertwee (The Doctor in his third incarnation) battling a multi-tentacled creature, much as Bela Lugosi fighting the octopus at the end of Bride of the Monster. The Doctor gained a car in the second serial, Doctor Who and the Silurians (7 episodes). It's a yellow Siva Edwardian kit car, and he nicknamed it "Bessie." I suppose this replaces the TARDIS. In the last serial of the season, Inferno (7 episodes), The Doctor accidentally gets sent to a parallel universe where everyone's evil. Like the Mirror, Mirror episode of Star Trek except that the bad guys had less facial hair. Pertwee is more forceful as The Doctor. He reminds me somewhat of William Hartnell in this regard, as well in his better manner of dressing. While Hartnell was proper in his dress, appearing in the style of an Edwardian gentleman, Patrick Troughton was more Charlie Chaplin in his dress. The First Doctor never displayed fear, though the Second Doctor seemed to cower a lot. 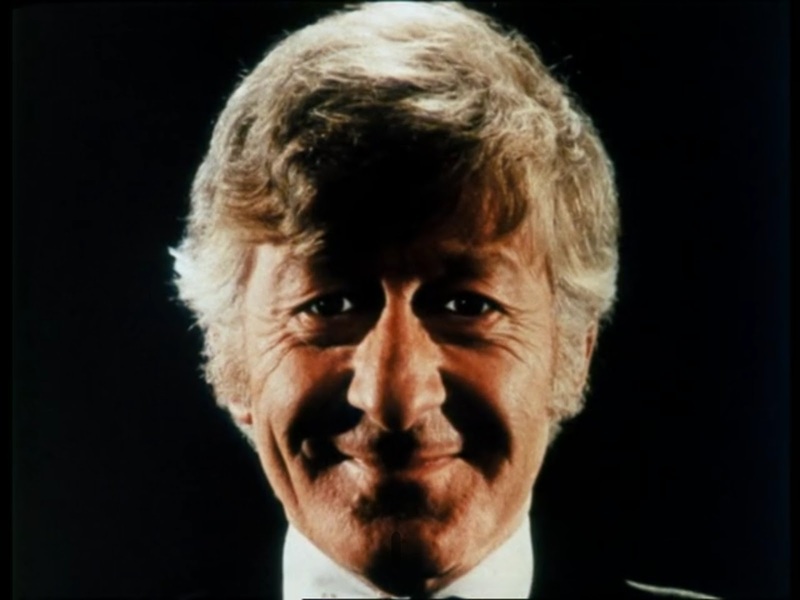 Pertwee's portrayal is somewhere between Hartnell's and Troughton's. There are reports that the showrunners had actually planned to replace Doctor Who with a series similar to the Quatermass shows that ran on the BBC in the 1950s. When the creator of the Quatermass character, Nigel Kneale, decided to not participate, they kept the Doctor Who series going, but spent more focus on Quatermass-style of episodes. Kneale did not like Doctor Who. Being bound to earth is certainly a change, although Season Five did have five consecutive episodes occur on the planet, as was mentioned by Jamie and Victoria. The premise of the show being earth-bound due to The Doctor's exile by the Time Lords won't last, based on my past watchings of Tom Baker (Fourth Doctor) episodes. I'm ready for him to get back into space and time. When I first saw the show, I was bothered by the idea of a Police Call Box being the outward appearance of the TARDIS. And, until I watched An Unearthly Child, the first Doctor Who serial, I didn't understand that it had changed its appearance to blend in with its surroundings, and the circuit broke, leaving it stuck as a Police Call Box. And now that Season Seven has mothballed the TARDIS, I miss it. Season Eight is next, and since I won't be taking the TARDIS there, it's up to Bessie. As I said, I never got into Doctor Who, but I am thoroughly enjoying your tour. You're showing that the story arcs, cast changes, special effects, and other idiosyncrasies can be both interesting and humorous. Even non-fans can relate. Seconding what Oppo said. I'm curious about Doctor Who as a pop culture reference, but not curious enough to watch all the shows. This series of articles you're doing is perfect for me. Very relatable. When I was in college I had unexpected access to a lot of the BBC novelizations of past Dr. Who serials. What a great break from college work. It's how I wound up experiencing most of the Hartnell and Troughton shows, since PBS stations never had them, and now we know many no longer exist. 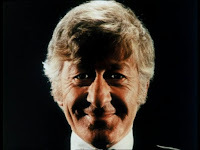 Liked Pertwee as the Doctor. My Kiwi wife, on the other hand, liked him better as Worzel Gummidge. Meanwhile, his son Sean sounds like his father every now and again; check him out in Dog Soldiers sometime. A strike at the BBC would later ruin a Tom Baker episode that was written by none other than Douglas Adams called Shada (Season 17). it was never completed and went unaired. They later released a video with Tom Baker narrating the missing portions using drawings, much like the way the lost early episodes you described before were put back together.